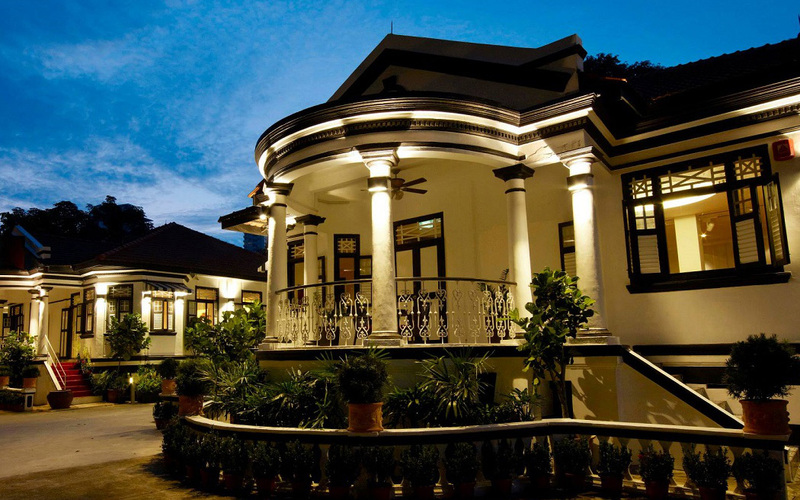 Nestled along the lush tranquillity of Scotts Road are two charming black and white grand architecture bungalows standing alongside each other – The Colonial White House and Indocafé. Built in the 19th century, this heritage landmark exudes the alluring aura of yesteryears which makes a beautiful venue for a luxe wedding with a touch of nostalgia. The main hall is spacious - adorned with plush seats and dark wood furnishings that are accentuated by warm light, overall articulating a quaint and intimate wedding ambience. With a dedicated team, you’ll be capturing picture perfect memories of your big day all through the night. Conveniently situated in the heart of Orchard,KUVO – a lifestyle concept by tcc, has proven to impress with a new benchmark for multi-concepts paces that will meet all your needs in creating an unforgettable wedding. Spanning more than 9,000 sq ft, its Shoji-inspired modern interior made complete with sleek contemporary furnishing and curated warm lighting sets the perfect mood and ambience for all sorts of wedding that will leave you revelled in warmth and love. Be it contemporary or whimsical;know that your journey with us will start and end with a sweet aftertaste. Note: For exclusive use of 2 Bungalows ,a minimum spending of $6,000++ (Lunch / High Tea) &$10,000++ (Dinner ) required.